Liege, Belgium —Nexeon MedSystems (“Nexeon” or “the Company”; OTCQB: NXNN) announced today that it has exercised its option to acquire Nexeon Medsystems Belgium, SPRL (“NMB”). This Belgian-based company has been operating since 2013 developing neurostimulation products. NMB recently acquired Medi-Line, a medical device manufacturer in the same area of Belgium as NMB with financing support provided by Leonite Capital and CBC Bank. 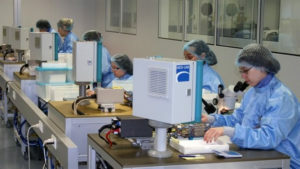 Medi-Line has expertise in active and non-active implants, and it has been profitable for its complete 25-year corporate history. Medi-Line currently serves 34 medical device customers in 16 countries including multi-year contracts with Fortune 500 companies. 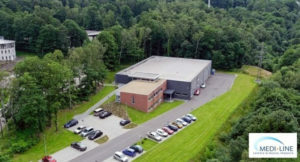 The Belgian manufacturer owns state-of-the-art facilities, which features two validated clean rooms (one assembly cleanroom Class ISO 7 or C and one extrusion/injection molding cleanroom Class ISO 8 or D) and 600m2 of production space. Most recently, NMB and Mediline have received a subsidy from the Region Walloone and BioWin which continues a long history of Rosellini’s investment in the Walloone Region. The Company’s CEO explained that the additional capacity and expertise provided by Medi-Line will de-risk our first product launch and dramatically shorten the time to market for a second. The Company is in final stages of product development prior to European regulatory approval submission for its deep brain neurostimulation system for the treatment of symptoms associated with Parkinson’s disease. The Company has previously identified a 2018 European commercial launch of this product with a US PMA trial enrolling in parallel. Press release distributed by Newsmakers on behalf of Nexeon MedSystems, on Thursday, 31 August 2017. For more information subscribe and follow https://twitter.com/newsmakers_pr .